March 2018 Employees of the Month! Your Employment Solutions understands that the staffing business is the people business. The YES company mission is to match the right person to the right job every time. We want to help people find good jobs in Utah and we truly appreciate and care about the people we get to meet, work with, and employ on a daily basis. Tori was awarded a thank-you certificate and YES hoodie for her great work. 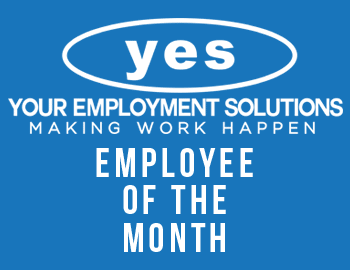 Thanks again Tori for being a part of the hard-working Ogden, Utah staffing team at Your Employment Solutions!